Bachelor and bachelorette parties go hand in hand with drinking too much. The combination of jet lag, overindulgence, and a series of extra late-nights can incur a pretty awful hangover. When you need to get up and go the next day, a hangover is especially inconvenient. Enter IV therapy. IV therapy has become popular for stags and stagettes because of the treatment’s restorative properties. Whoever said there is no such thing as a hangover cure never tried IV therapy. An IV drip effectively neutralizes a hangover by addressing its two main causes: dehydration and a buildup of toxins. Hydreight’s IV treatments are formulated to deliver maximum hydration as well as antioxidants, vitamins, and minerals. This solution treats the root cause of hangover symptoms. This treatment is invaluable — especially if you and your friends have an aisle to walk down that day! A bachelor or bachelorette party can take a lot out of you and weaken your body’s systems. After all, there’s nothing like a binge drinking session to compromise your immune system. Hydreight’s IV formulations contain high concentrations of antioxidants and nutrients essential to immune health. As such, IV therapy provides a much-needed immune system boost to ensure nobody gets sick prior to the big day! If a bachelor or bachelorette party is held remotely, say in Las Vegas, then its attendees could be contending with jet lag on top of a hangover. Jet lag causes exhaustion, headaches, and can greatly impede your ability to have a good time come the wedding. IV hydration therapy services address the symptoms of jet lag by treating dehydration and low-energy levels with fluids and nutrients. If you are planning a bachelor or bachelorette party, do your fellow attendees a favor, and book a group IV therapy session to start and/or finish off the trip. 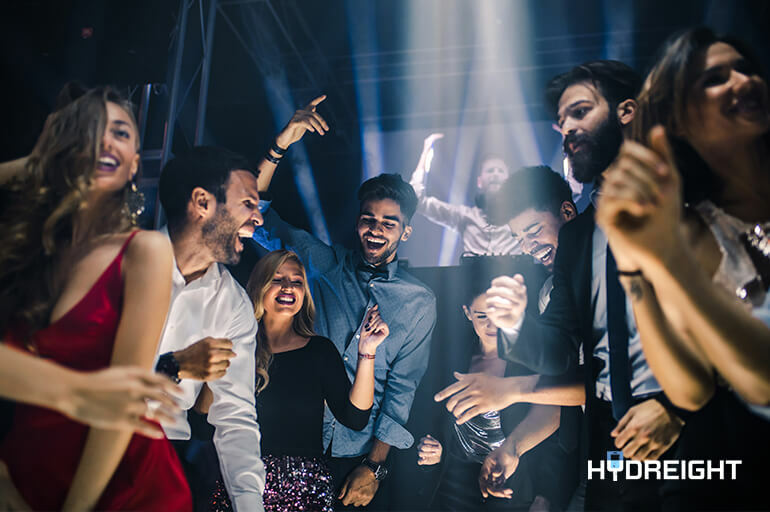 If you start with IV therapy, your body will be better prepared to deal with the rigors of the celebration, and there is no need to suffer come the end of the party either! Hydreight’s mobile IV therapy service will come to you wherever you are. Download our app to book and get a group drip in your hotel room or even poolside to end your bachelor or bachelorette party on a rejuvenating and memorable note. A little IV therapy will guarantee everyone is bright-eyed and bushy-tailed on the big day!